I can take zero percent of the credit for this blog post. A few months ago, my amazing family filled a box with different homemade sensory play / toddler learning activities and sent it to us. They fit it all in a large tupperware tub that says, "Claire's Fun Box" on the top. 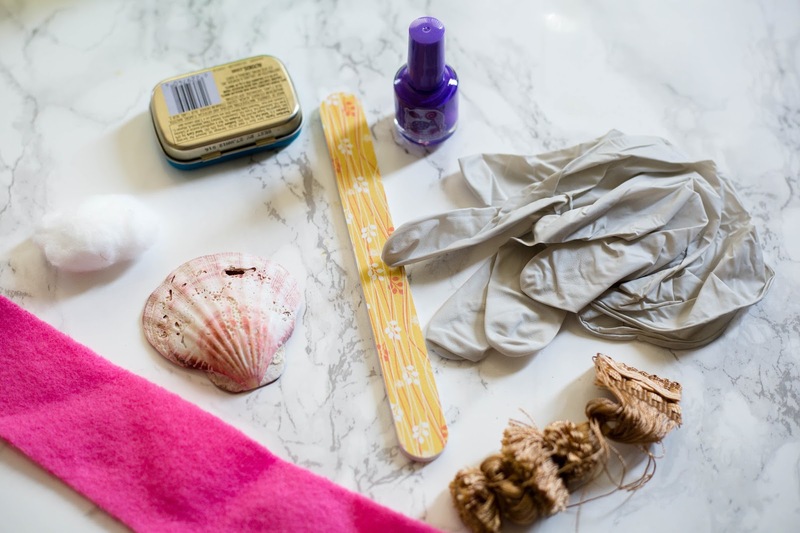 Read on for pictures and descriptions of all the fun activities we do daily around here! 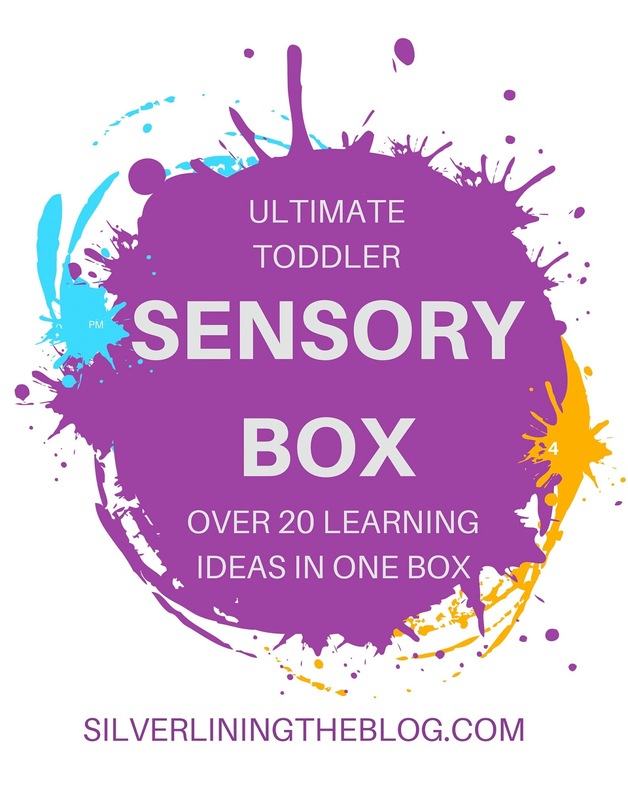 If you're a grandparent or friend, this sensory box would make THE BEST GIFT (for the toddler and the parents!). 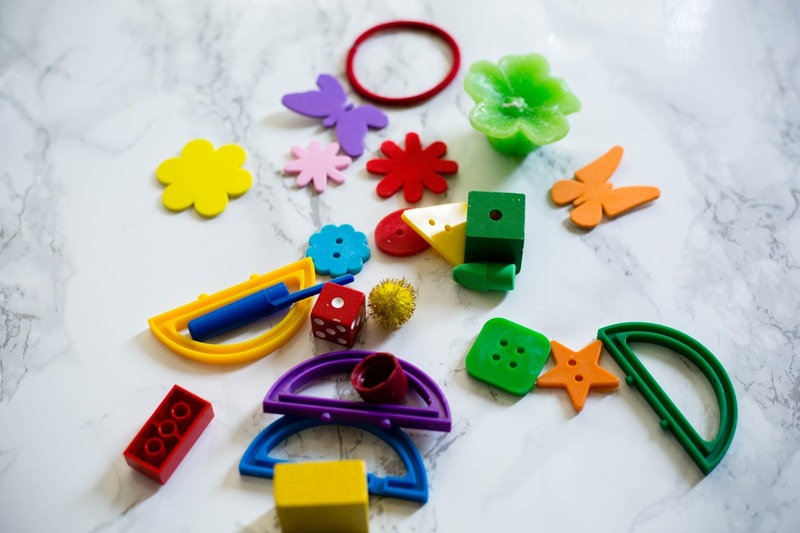 Or, if you're a parent trying to find something to do with your busy toddler this afternoon, lots of these ideas use things you already have around the house. Glitter Hurricane Bottle - Put glitter and water in a waterbottle. Add a splash of bleach to keep it from molding and seal the lid shut with glue. When you shake the bottle it makes a glitter hurricane! 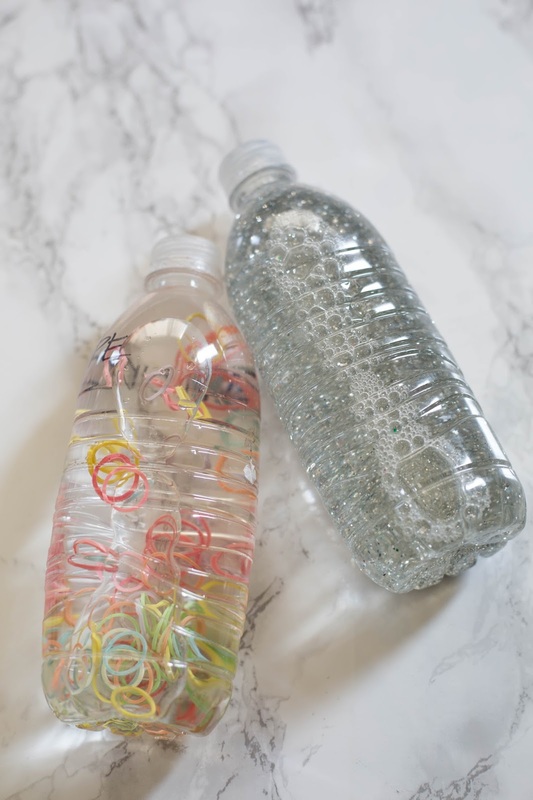 Colored Hurricane Bottle - Same procedures as above, but put rubber bands (these are tiny hair bands) instead of glitter. Shake it up for a fun colorful hurricane. 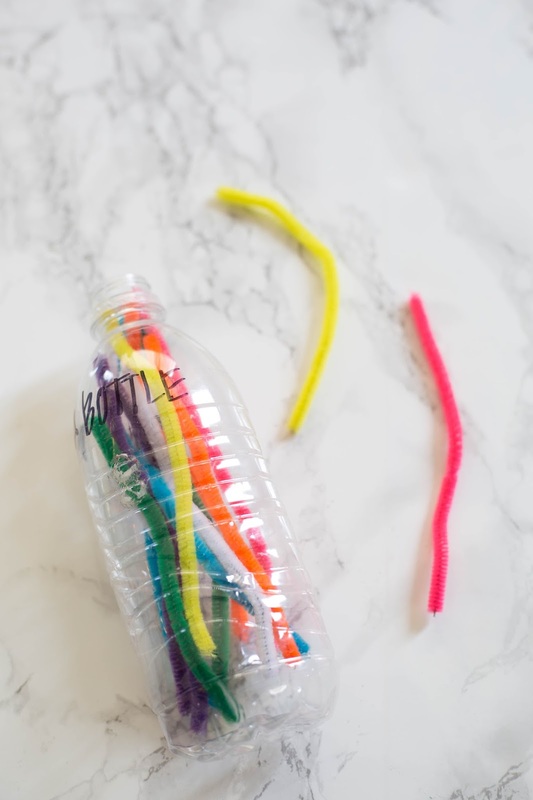 Worms in a Bottle - All you need is an empty water bottle and some pipe cleaners. Claire has spent multiple church blocks putting the pipe cleaners in the bottle, and then trying to take them out again. 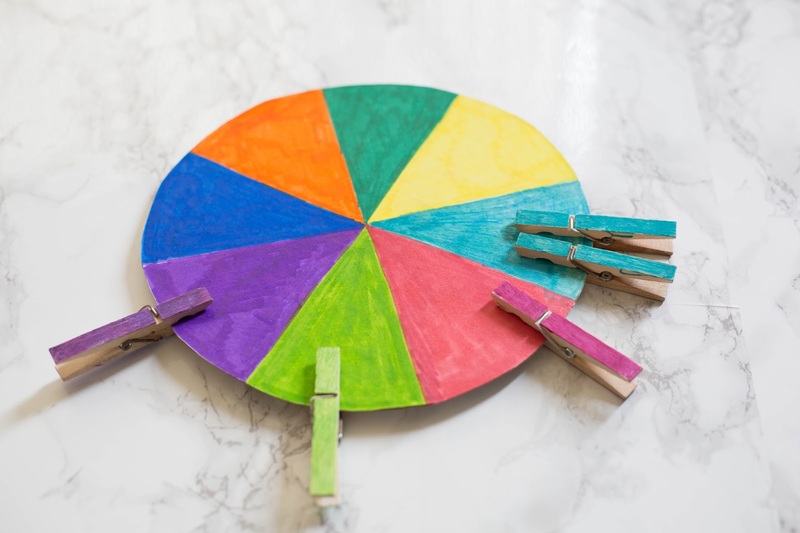 It's great for developing fine motor skills and practicing colors at the same time. Mystery Bag Challenge - Put an assortment of items in a bag that you can't see through. Older toddlers love the challenge of reaching in to find something by touch - find something small, large, soft, noisy, rough, smooth, etc. Stickers - even more fun! 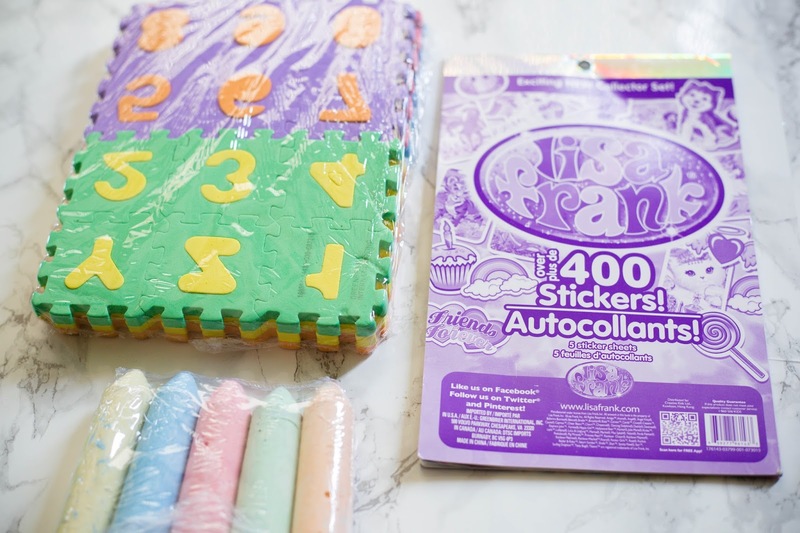 Foam letters and numbers - Fun to use as an easy puzzle, and for older toddlers to practice their letters and numbers. Bubbles - not pictured because we already used them all up. 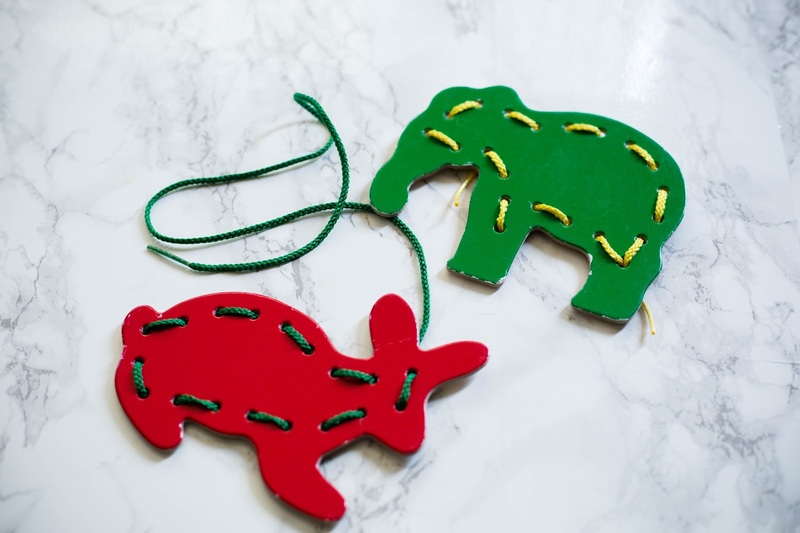 Animal Cutouts and Shoelaces - You can buy these at the dollar store, and I also see them in the Target dollar section from time to time. Toddlers thread the shoelaces through the holes. I remember playing with these even when I was older. Look Who Loves You Game - My toddler LOVES this game! 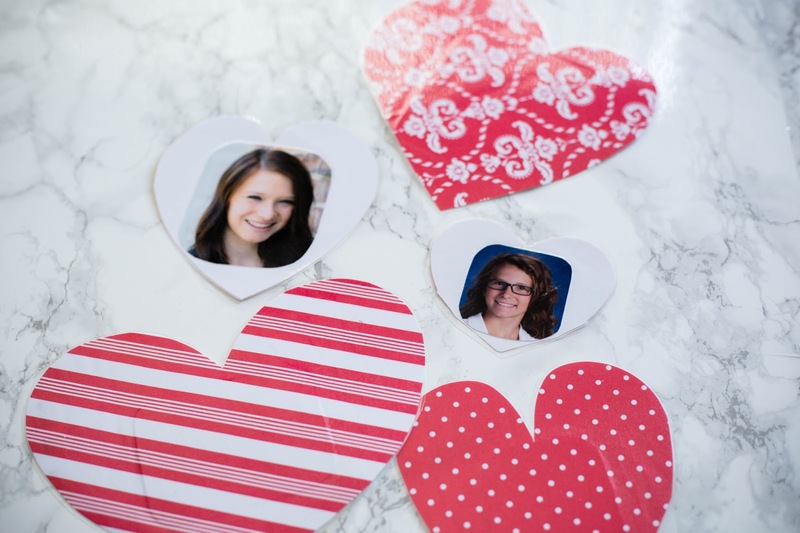 They're laminated cut-out hearts with pictures of family members on the back. We go through these cards almost every day and name the family members. It's definitely a favorite! Sensory Box - Dump a bag of rice (we also use dry beans) into a shallow box or shallow baking pan. Then, dump the colorful toys in. My toddler will play with this for a long time. 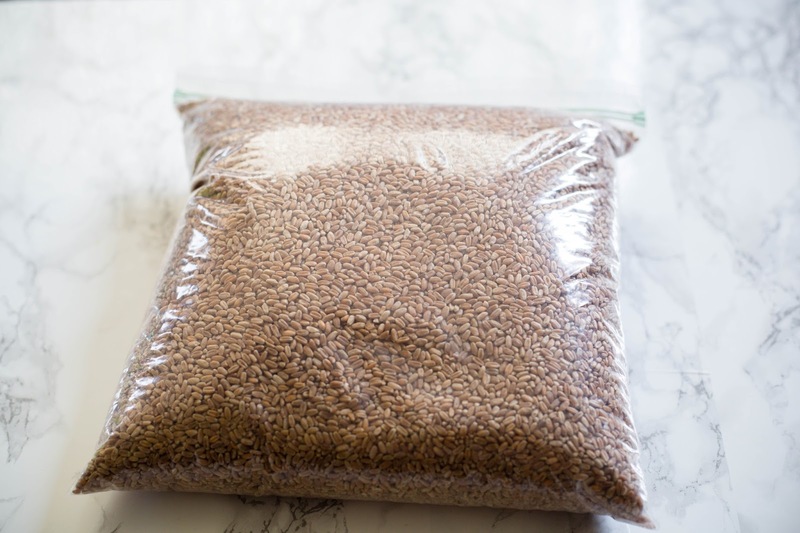 It's fun to find the hidden objects, or just sift through the grains with a measuring cup. Felt Potato Head - Cut out a lot of felt shapes. 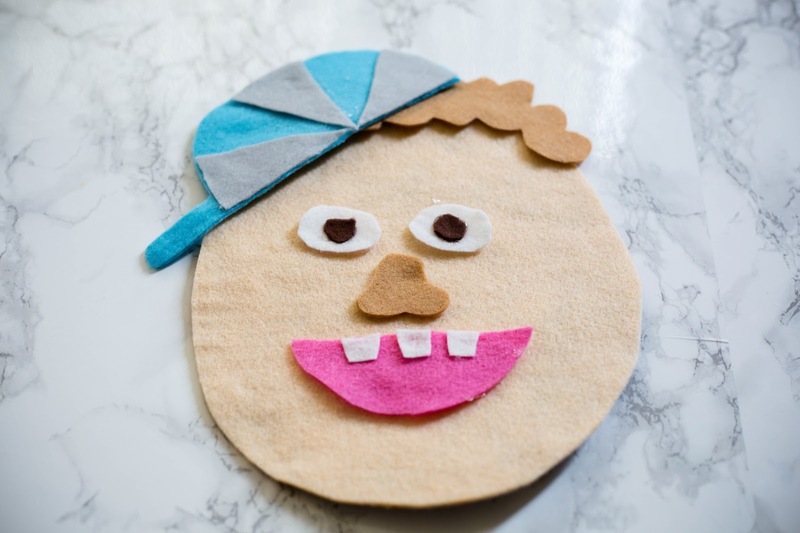 Use one large oval with cardboard backing for the face. 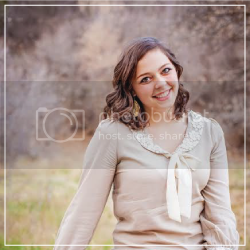 Make as many silly face combinations as you want! 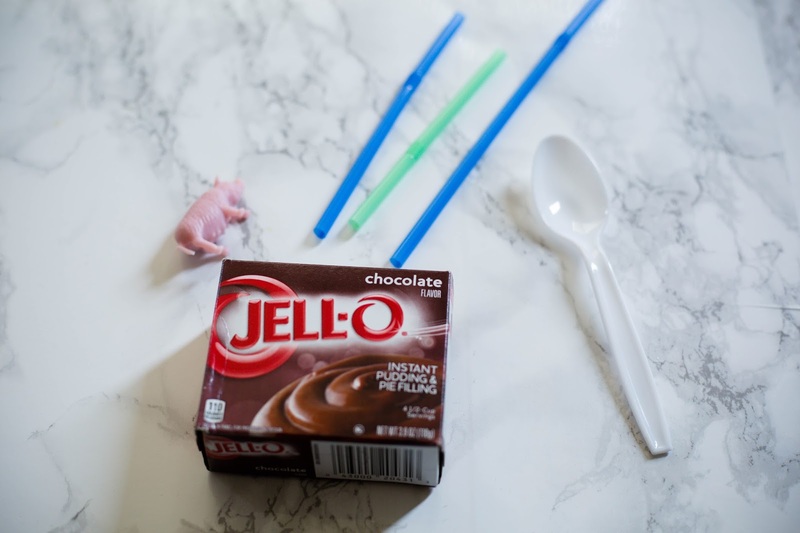 Pudding sensory box - This one is a huge mess and a ton of fun! Make instant pudding according to directions. Spread it on a clean table or high chair tray. Use the spoons and straws to make fun patterns, or hide small animals inside. Bonus: you can eat it too! 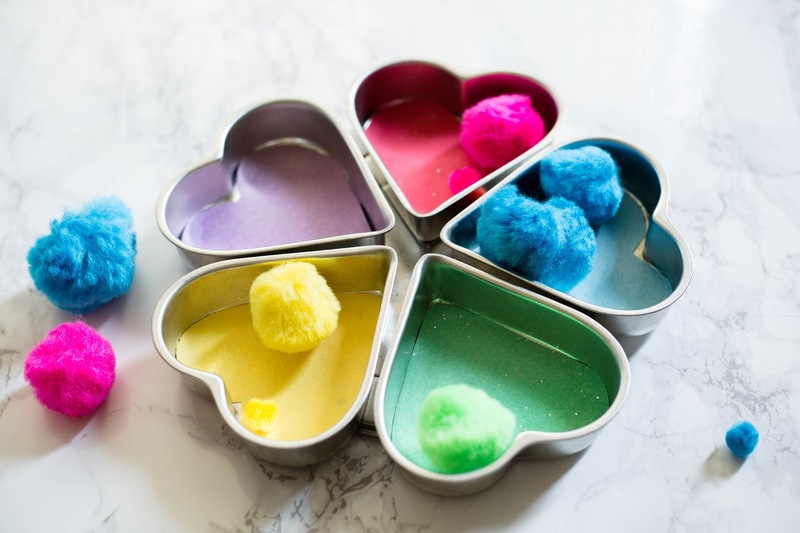 Color Learning Game - All you need are pom poms (found at Walmart, Target, or any craft store), and any pan with multiple compartments (a muffin tin would work too). Glue colored construction paper into the bottom of each compartment, and then practice matching colors with the pom poms. for making this fun box! What else would you add to it?